What is the basic reality here? Spain found itself with a much higher bill for subsidies than it had expected-probably the original experiment with incentivizing renewable generation wasn’t all that well designed. That’s 20/20 hindsight. So Spain had good reasons for changing course, especially given budgetary restraints that emerged during its "austerity" period. So Spain took away what, for Eiser, were some pretty important benefits. But Eiser didn’t have a contractual right to those benefits. And indeed the tribunal even cites evidence that, far from believing they had a bankable commitment of regulatory stabilization, the company entered into the market knowing there was political risk-the regulatory program was new and experimental, and large-scale renewable generation for on-grid electricity isn’t that old or well established, period. There’s no well-worn standard regulatory playbook here. There is almost no reasoning whatever in this decision. The two vague elastic undefined concepts used by the tribunal to find a violation of FET are: 1) that a "new or very different regulatory regime" is a violation of FET if it is is to the investor’s business disadvantage;2) that only "reasonable" regulatory changes are consistent with FET. Now let’s unpack this a little. First of all, just because a regulatory regime is "new or very different" doesn’t make it "unreasonable". Obviously, sometimes making a regulatory regime very different is exactly what is required for the public interest-that certainly falls into one defensible understanding of "reasonable." So first of all there’s a basic lack of clarity as to what normative work these two different notions are doing in the reasoning of the tribunal. Was it enough that the regime is "new or very different" or is the tribunal’s conclusion instead based on the notion that what was "new or very different" was also "unreasonable"? Now how to do we know if changes to a regulatory regime represent something "new or very different", i.e. a big change? What’s the test? The tribunal hardly gives a clue as to what would be an objective basis for drawing a line. Instead, they judge "new and very different" purely from the investor’s point of view. It is clear that what the arbitrators have in mind all long is simply the perception of the investor that major changes are happening, without really considering what the regulator thought it was trying to do in the public interest. In a novel type of market such as renewable-generated on-grid power, how can one predict ex ante how much or how little the first crack at regulatory design would need to be adjusted in light of changing conditions-or how fast? But the tribunal never thought about this because it only took the investor’s point of view; Basically what for the tribunal was "new and very different" was as the tribunal put it at paragraph 390 that the "new regime [was] intended to significantly reduce financial support for concentrated solar power." So what? Why wouldn’t prudent business people be quite aware that governments sometimes make major cuts in subsidies depending on changing fiscal priorities and constraints, as well as evaluations of the policy justification for the financial support, and the actual results of subsidization? Again, with respect what is "reasonable" the tribunal looks at matter solely from what is in the investor’s interest. As the tribunal itself admits, from the government’s point of view it wasn’t at all unreasonable to address the tariff deficit that was producing high subsidy payments. (Paragraph 371) The tribunal, again with its totally pro-investor stance, has what it admits is the government’s legitimate objective count for nothing against the business impact on the investor. The tribunal also takes up the company’s whining that the changes were abrupt and drastic. But Spain is an EU Member under the rule of law; due process is provided in Spain’s administrative and judicial system. 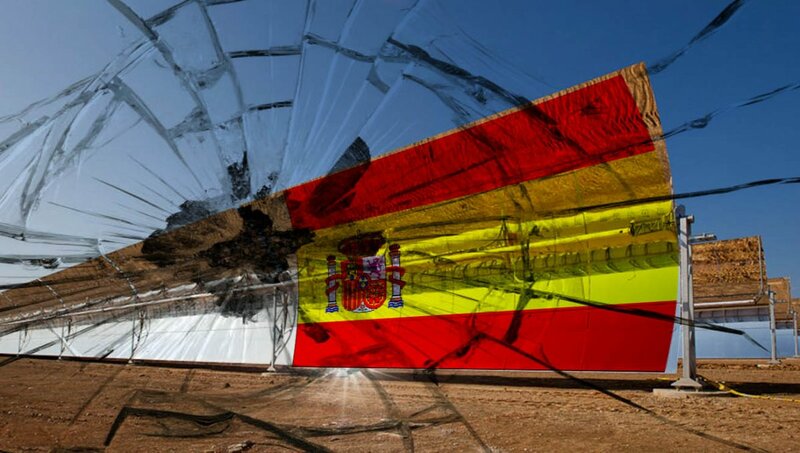 A prudent investor following the evolution of Spain’s "austerity" policies and seeing the amounts of subsidy payments that its design of the renewable generation market was producing could not but think that a change of course was likely. Spain was not under any contractual obligation to give Eiser a warning period for regulatory changes, or to grandfather them. There is no evidence that Eiser was singled out in any way for harsh treatment, or dealt with arbitrarily or in a discriminatory fashion.